The March 2016 Energy Technology List (ETL) newsletter from the Carbon Trust highlights that Lighting technologies on the ETL continue to attract a huge level of interest from purchasers and manufacturers. 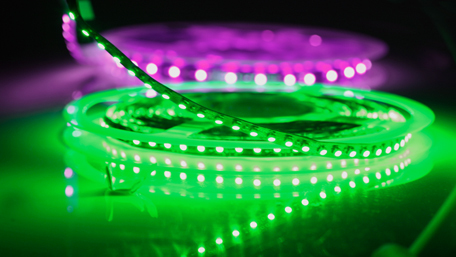 The ETL register of enquiries shows that lighting tops the technology chart – approximately 25% of all enquiries each month relate to lighting. What makes an ETL compliant lighting unit? Can the costs of retrofit lamps be claimed? This guidance can be found here. “The ETL covers three categories of lighting: White LEDs; High Efficiency Lighting Units; Lighting Controls. These come under the umbrella of the ETL ‘unlisted’ technology categories. Products are not individually listed on the website or reviewed through an application process in the same way as ‘listed’ technologies. Instead manufacturers check the criteria for those technologies and where confident that the lighting units meet those criteria, make a statement of compliance to the customer, which is used by the purchaser with the invoice to make an ECA claim. The addition of a new technology category to the ETL. Waste Heat to Electricity Conversion Equipment can be used to recover waste heat (including low grade heat) and use it to generate electricity to offset the electricity which is purchased for use on-site. Increasing the qualifying thresholds for both High Efficiency Lighting Units and White Light Emitting Diode Lighting Units to reflect the recent significant increases in efficiency. Changing the qualifying thresholds for Refrigerated Display Cabinets, Heat Pump Driven Air Curtains and Close Control Air Conditioning to ensure support remains focused on the top performing products. Changing the way performance is measured for Packaged Chillers and Air to Water Heat Pump technologies to a seasonal performance measure, which is more representative of in-use efficiency. However, a recent survey conducted by the Carbon Trust highlighted that 45% of the 135 professional surveyed across both public and private sector were unaware of the existence of the Energy Technology List. That is despite companies spending large sums of money qualifying their products for the list. This demonstrates that there is still a lack of awareness of the ETL and the eligibility of items on the ETL list which may be eligible for 100% Enhanced Capital Allowances (ECA), providing accelerated tax relief to the tax payer. Too many taxpayers fail to consider the ECA opportunities early enough, if at all; or wrongly assume all energy efficient assets attract ECAs! ECAs can be a valuable way to improve cash flow and optimise tax relief available. However, it is important to ensure the particular products used are compliant with the ETL. E3 Consulting has a wealth of experience advising property owners on Enhanced Capital Allowances. Contact us to discuss any opportunities you feel could benefit from our advice.